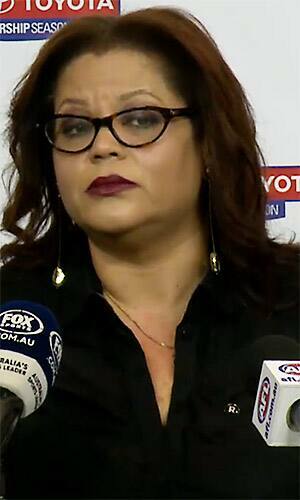 THE AFL has appointed a second woman to its executive ranks, in a week when social issues, particularly attitudes towards women, have been at the forefront of the football conversation. Tanya Hosch becomes the League's general manager of inclusion and social policy, a position revamped following the departure of long-time diversity advisor Jason Mifsud. The AFL started its search to replace Mifsud more than four months ago. Hosch was the joint campaign director of Recognise, an organisation that is pushing for the inclusion of indigenous Australians in the national constitution. Olympian and Labor senator Nova Peris had been considered a frontrunner for the role but has missed out on the job. Hosch joins corporate affairs boss Elizabeth Lukin as the second female on the AFL executive. "We have been on a long and extensive search for the right person to fill this role, and are delighted that Tanya emerged as the standout candidate for the position," McLachlan said. "Tanya's extensive experience in public policy and advocacy in women and indigenous affairs is a major step for the AFL, and I am delighted that she is bringing her leadership to our executive. "Tanya is someone of immense character and strength and under her leadership, Recognise has achieved significant growth and progress towards recognising Aboriginal and Torres Strait Islander People in Australia's Constitution. "We look forward to continuing to work with Recognise and supporting the next phase of this campaign."